Remember your first home of your own? Maybe it was a cramped and mildewy dorm room on campus. Perhaps you had a studio apartment with nothing more than beer and a block of cheese in your fridge. At this point in your life, you’re more evolved than all that. If you’re a first-time buyer or getting the keys to your own first home, then we have 7 awesome decorating tips for you. Don’t waste a moment living in a space that’s not suited for you. Hit the ground running with our guide and you’ll have a house that feels like home in no time. Let’s get started now and learn how to make your first home a dream home. 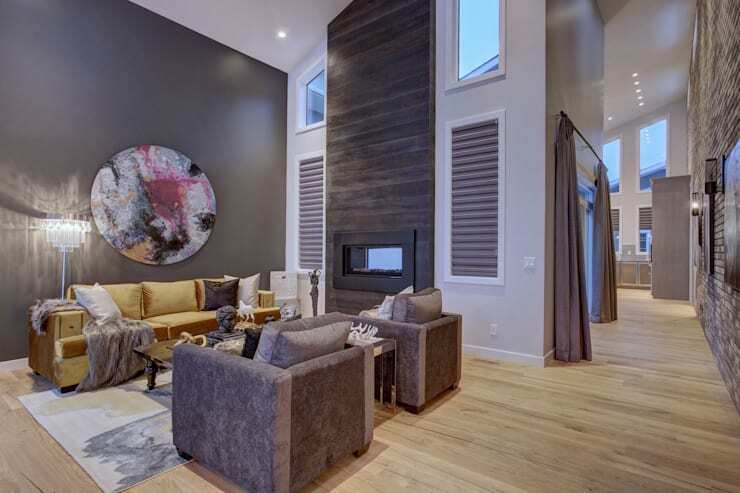 Before you start picking paint colours and bringing an interior decorator, consider what design you want. Are you going classic country? Scandinavian-Boho chic? Ultra minimalist? It helps to narrow down your style preferences before you start spending your money. Find more home inspiration on homify to find your specific tastes. We spend so much time in our homes! It’s imperative that we make comfort our goal. Think of living comfortably in your home at every stage in the design process. If you’re choosing a couch, consider which one is going to be best for you. Planning to sprawl out with your loved ones and binge watch T.V. every weekend? Then you’ll need more room than a chic little loveseat can provide. Think comfort and you’ll be happier in your home in the long-run. Sadly, lighting often gets the short end of the budgetary stick when it comes to decorating. Of course, who wouldn't’ want to cut corners here to afford the dining table of their dreams? 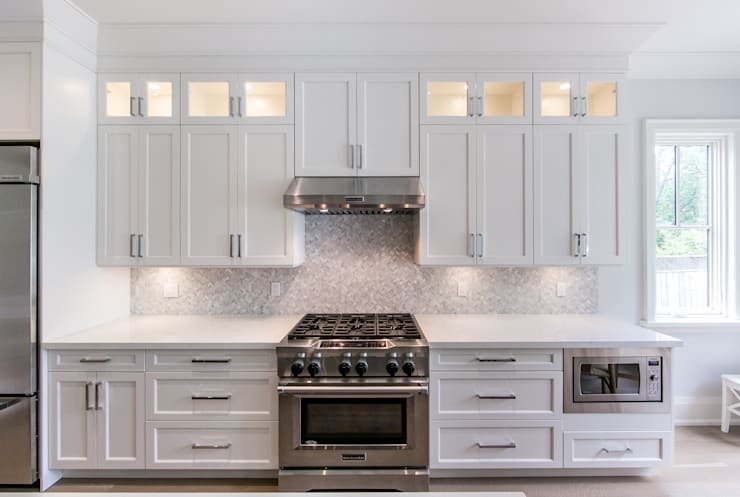 We’re urging you to make lighting a priority in your home because it can elevate your look or drag it down. 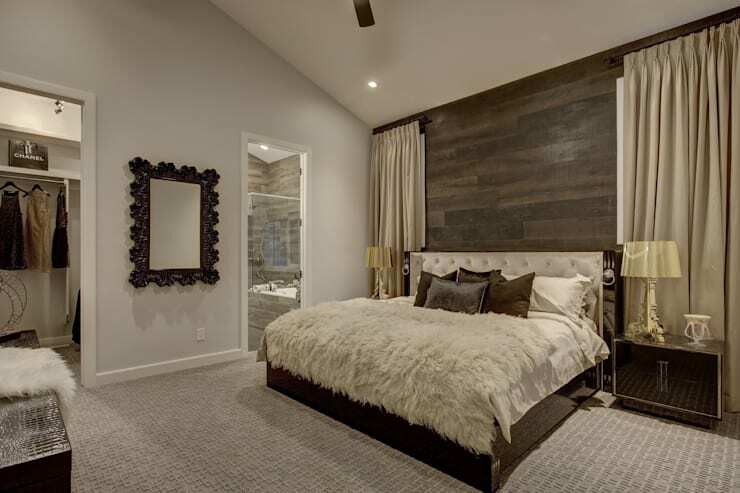 There are inexpensive ways to create atmospheric lighting that make your home special. Try using string lights, upcycled light fixtures, and maximizing natural light. If you find a way to scrimp as you decorate, then we encourage you to splurge on statement furniture. It will give your home instant unique personality and will be a treasured piece that you keep for decades to come. 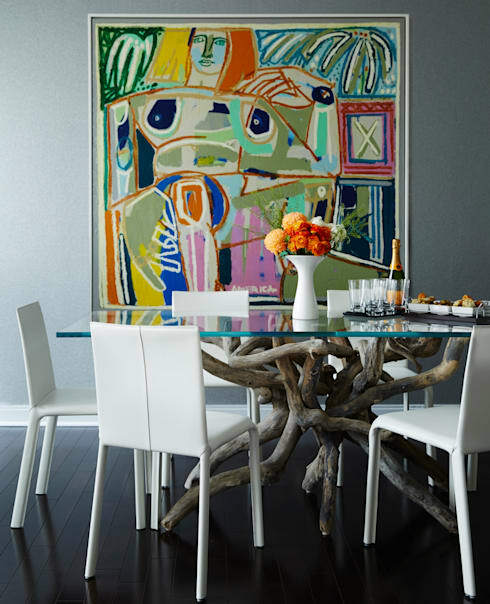 Check out this artsy Toronto condo’s driftwood and glass dining table. Since it’s your first home, it helps to establish good habits and behaviours right away. One of the best habits is to live clutter-free. Make storage solutions for the necessities in your home. You won’t collect junk if you have nowhere for it to go! 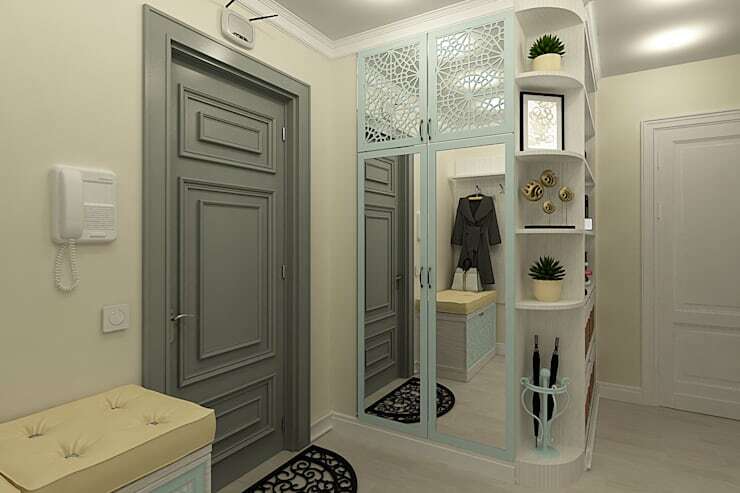 This entryway has cute storage that displays decor items and keeps them out of the way. Painting is a big undertaking, especially if you’re going to do it yourself! Start with a colour to guide and inspire you as you decorate. When you’re surrounded by a fresh coat of paint, you’ll find yourself laden with even more design inspiration than before! You don’t have to buy all-new everything to decorate your home. You can use what you already have in new and inventive ways. An old vase can put in the kitchen to hold your favourite utensils. You can upcycle an old dresser or desk and refashion it into a bathroom counter. 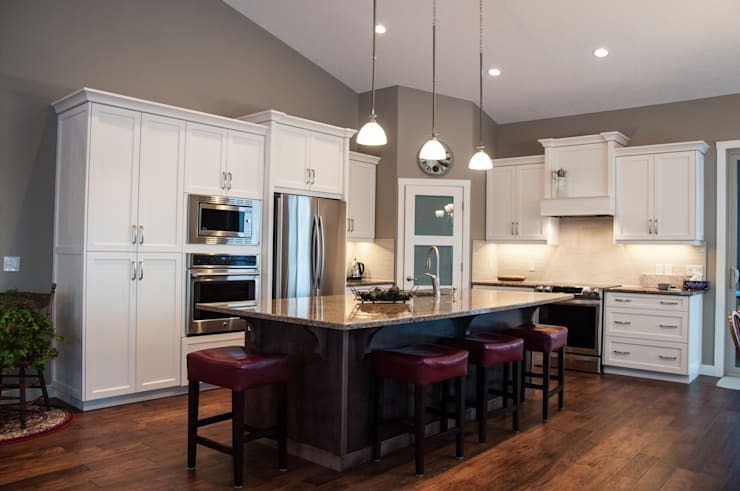 There’s no end to the ways you can do easy home upgrades to capture your own custom style. Next, check out our feature on 7 things to paint black in your home that elevate your decor. What do you do first to make a place feel like home?